Google has released data on the current market distribution of the various versions of Android. The ranking stays the same as it was last month, with Marshmallow in first, Lollipop in second, and Nougat in third. Oreo remains irrelevant, as it only just matched Ice Cream Sandwich’s 0.5% distribution, a disturbingly unprogressive rise from its 0.3% figure last month. Google Play analytics have been released for the month of December, with data collected over a seven-day period throwing some light on the current distribution of the various versions of the OS. 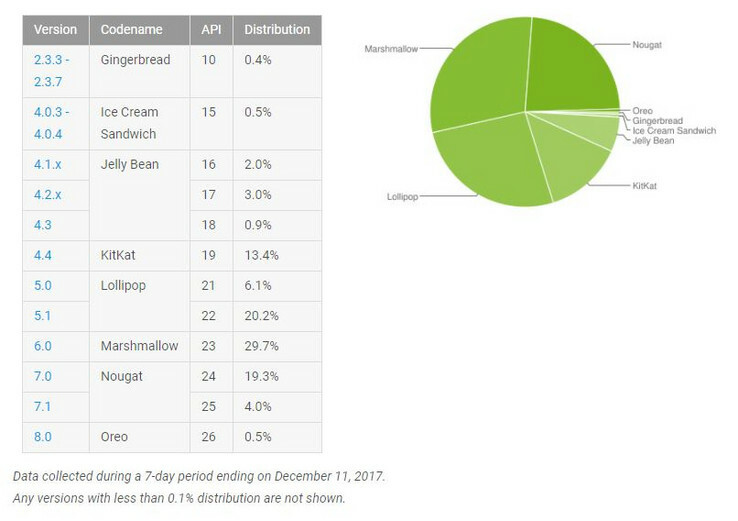 Last month's report showed Android Marshmallow with a rather substantial lead at the head of the pack, with the two-year-old release boasting of a 31% market distribution. The sixth iteration of the OS still leads, albeit with a smaller advantage over its successor. 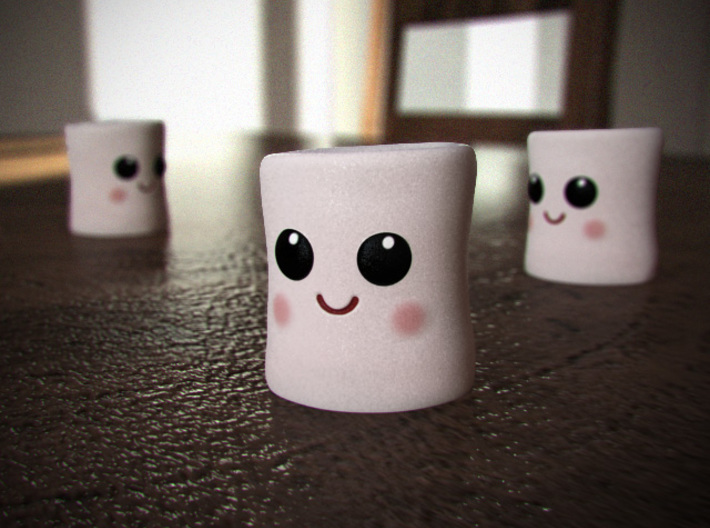 The Marshmallow user base saw a drop from 30.9% of the market total to 29.7%. Lollipop, second last month, also saw a drop from 27.2% to 26.3%. Nougat, coming in third, saw the largest rise, from 20.6% to 23.2%. Rather surprisingly, Oreo only just trudges along, with the latest version of the OS seeing its user base rise from 0.3% to a pitiful 0.5%. It’s quite telling that upgrading to an outdated version of the OS (Nougat) is thirteen times as commonplace as moving upwards to the latest iteration. Oreo was released almost four months ago, which means that it has already seen over a quarter of its active lifespan. A 0.5% market distribution at this point is, quite frankly, disturbing.